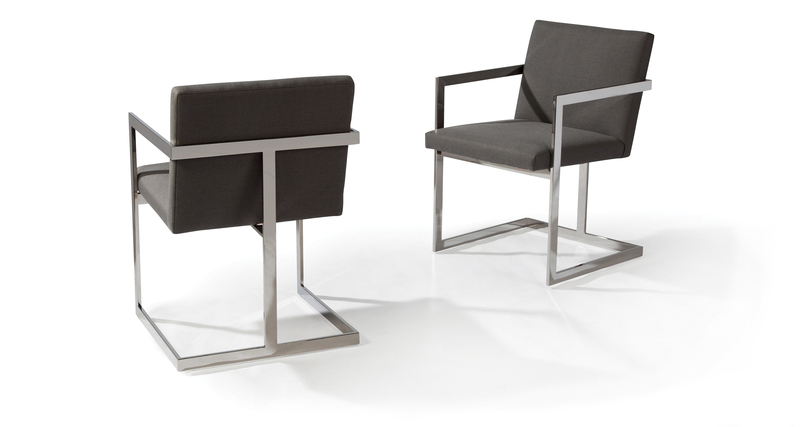 Designed by Design Director Guy Hill these classic modern, dining chairs can be upholstered in any of our fabrics or leathers as well as COM. Armless versions for side dining chairs (No. 1360-110) are also available. Polished stainless steel arms, legs and base are standard.